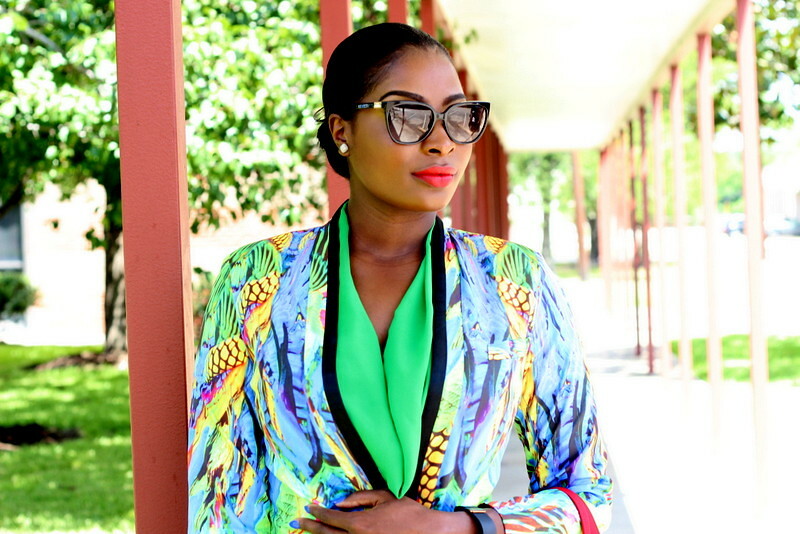 You can never go wrong with a tailored/fashionable blazer, throw it on and bring any bleh outfit to life! As for me I had such a swell time from barbecues to having fun with friends and family. I can’t complain! 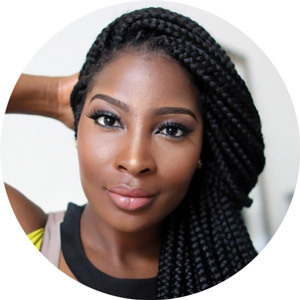 I’m cooking up so much for more blog and I’m super excited. It’s funny how I get more excited just by the thought of it. I have much more posts to come so stay tuned. Just beautiful! Love the color combination! & what a great find with that bag at the thrift store?! LOVE the color combinations!! love ur blouse and jacket!! cute n chic!! 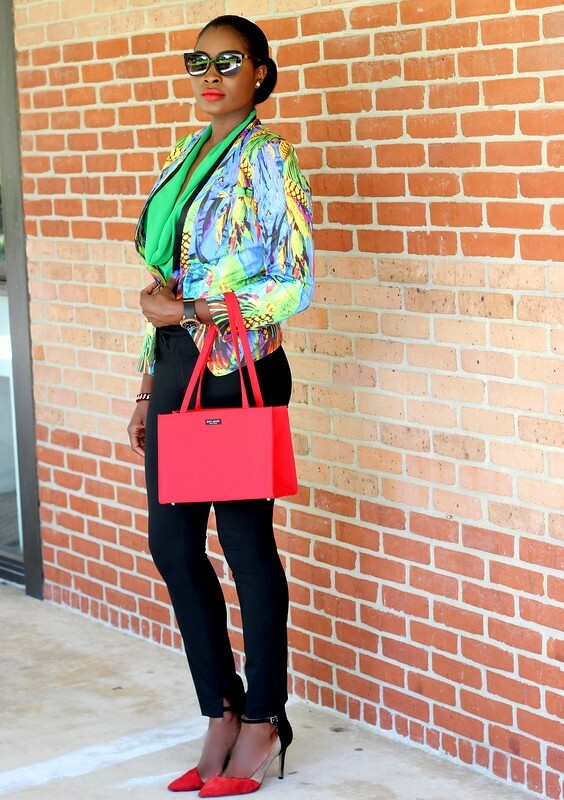 I love this look… what a steal on that bag. I love this look!!! jeez what a steal on that bag!!! 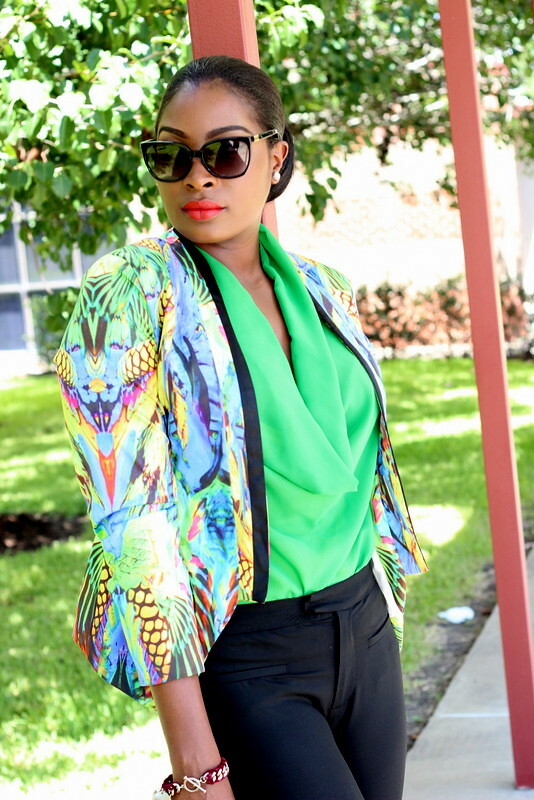 Gorgeous is an understatement for your look in this post! 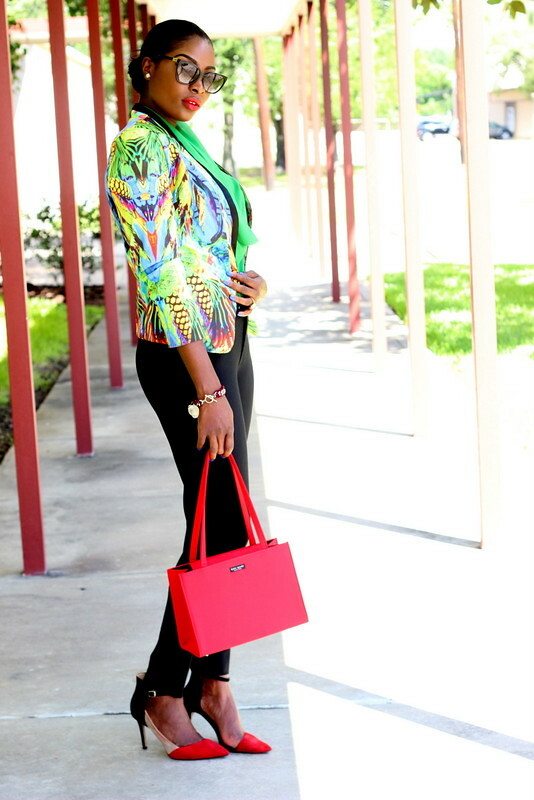 I swear you're my go-to gal when it comes to pairing bright hues together! So effortless, yet so polished. Cheers! Gorgeous as always. Love the colors in this outfit. Gorgeous as always. Love the colors in your outfit. Perfect use of color love everything you look amazing! Looking gorgeous as always, I love the colors!!!! I am going to wear something like this to work tomorrow! Thanks for the inspiration Agatha!!! Yes honey!! Fabulous as always!! You are everything!! Hello there in U.S.A.,Ciao Agatha…first time that visit your blog…you have a Original,Fabolous Style…by the way this outfit is Magic…they say that Fashion is Art and so you're a Great Artist of style …as your Outfuit is as coloured,as charming like a Masterpiece of Art! SO CLASSY I LOVE IT !!! those glasses and that bag are giving me life.love this look. I LOVE IT!!!! Can I raid your wardrobe?? Looking hot darling. Love your outfit and I love your jacket!